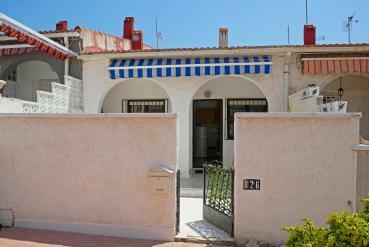 Casas Espania offers you the guarantee of having some expert estate agents in La Siesta. Our team of professionals will help you at all times so you can find the home you have always wanted to have. Our experience in the world of property sales has led us to value the deal with the client. In this way, the advice you will receive, regarding your future home, will be honest and outstanding. We care that the client feels satisfied and comfortable in their new home. We are not satisfied with the sale of the property. We want to make the client feel proud, having trusted in our services. Our estate agents in La Siesta offer you the possibility to choose your future property, on the Costa Blanca or Costa Calida. It is two great Spanish areas, located southeast of the Iberian Peninsula. Alicante city, Benijofar, Ciudad Quesada, Orihuela Costa, San Pedro del Pinatar, San Javier, Torrevieja or Yecla are some of the main destinations where you can start a new life. In all the cities where we have properties, you will have the fortune to enjoy advantages that you can only access if you live in them. The main benefit you will get will be living surrounded by a fabulous climate. Your home will be located in an ideal place to make the most of good weather. If you are a lover of the sea or on the contrary, you love living close to nature, our real estate agency has, for example, apartments, bungalows or townhouses for sale and for rent located very close to the sea or located in rural areas. Our intention in satisfying all the needs and tastes of our clients. We are aware that the priorities are different for each buyer. If you are willing to live in one of our properties on the Costa Blanca (Alicante) or Costa Cálida (Murcia), get in touch with real estate agents in La Siesta. You can find us in Torrevieja, in the Bizet Street Shopping Center - Local 6 La Siesta.